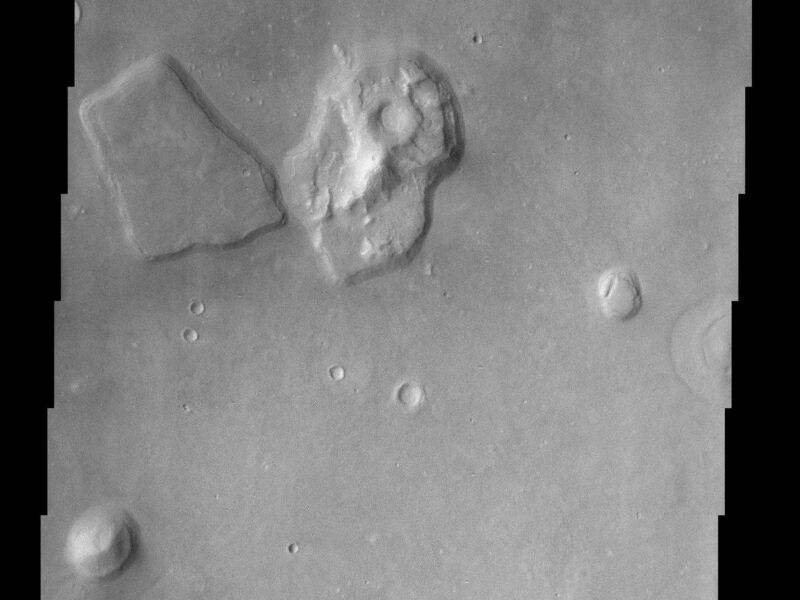 The Cydonia region on Mars straddles the boundary between the bright, dusty, cratered highlands to the southeast and the dark, relatively dust-free, lowland plains to the west. 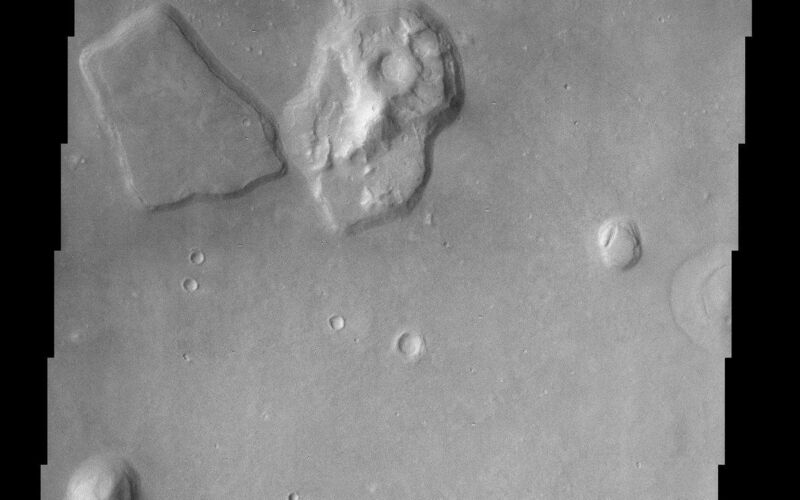 The countless mesas and buttes that cover the region are testament to the former presence of vast layers of material that have been stripped back over the eons leaving the isolated remnants seen in this THEMIS image. 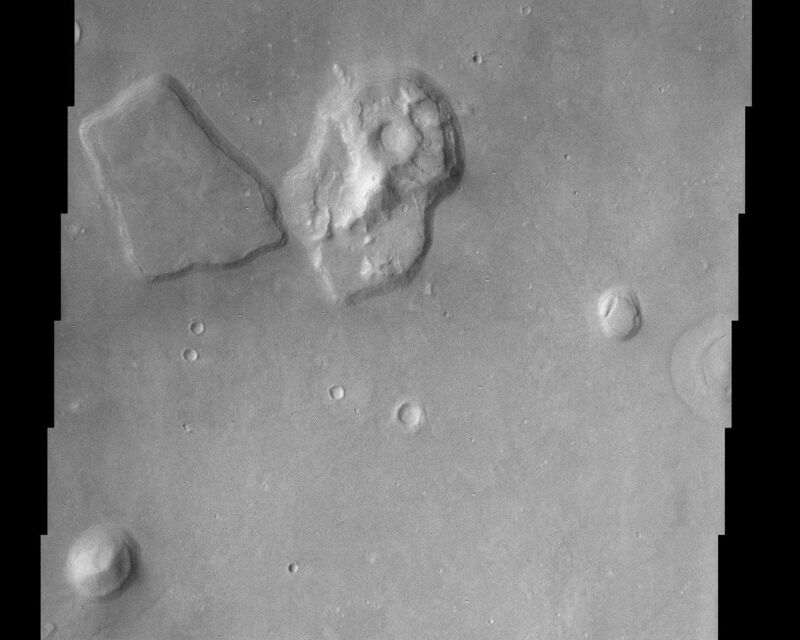 Evidence of larger masses of these remnants is visible to the south in the MOLA context image. Note the lobes of ejecta emanating from the large crater in the upper right of the THEMIS image. This style of ejecta is thought to arise when an impact occurs into water or ice-rich material, indicating that at least at the time of the impact such material was present.